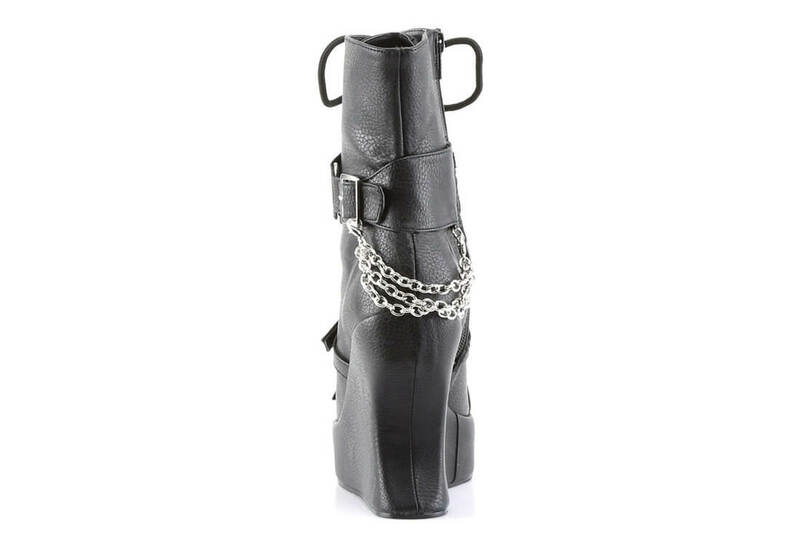 These super cute Platform wedge buckle boots have lots of character. 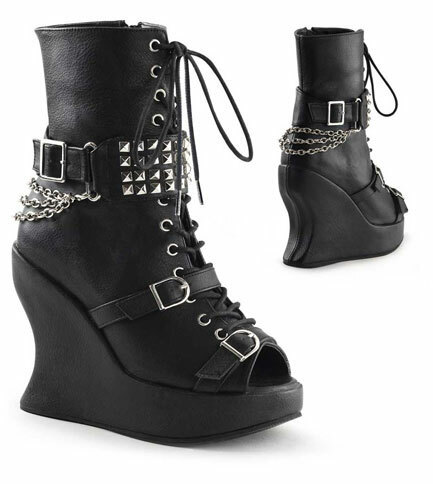 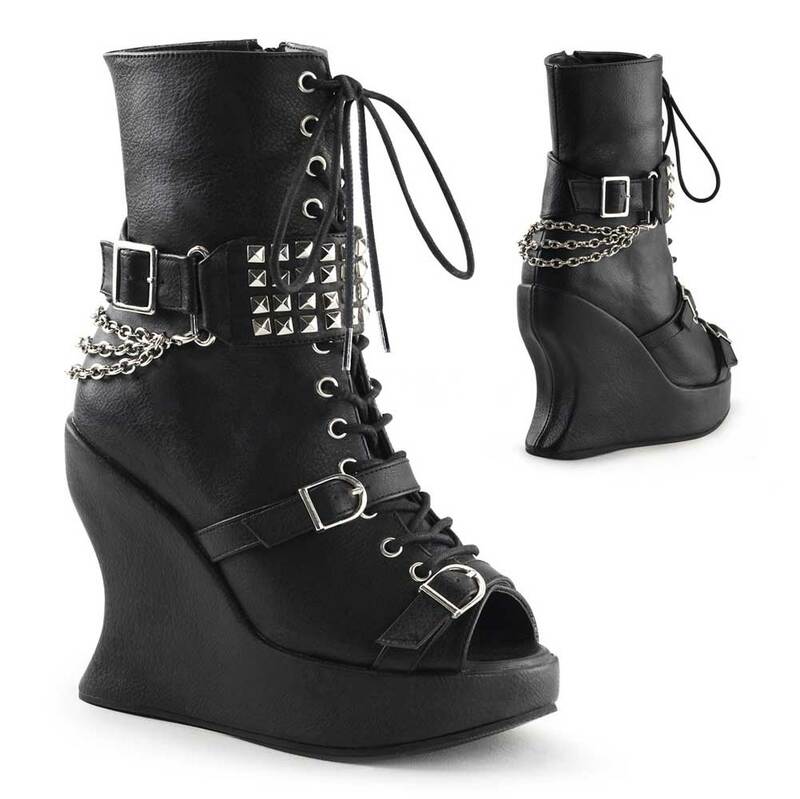 The front has a buckle strap with pyramid studs and chains, two buckle straps on the foot and a peep toe. 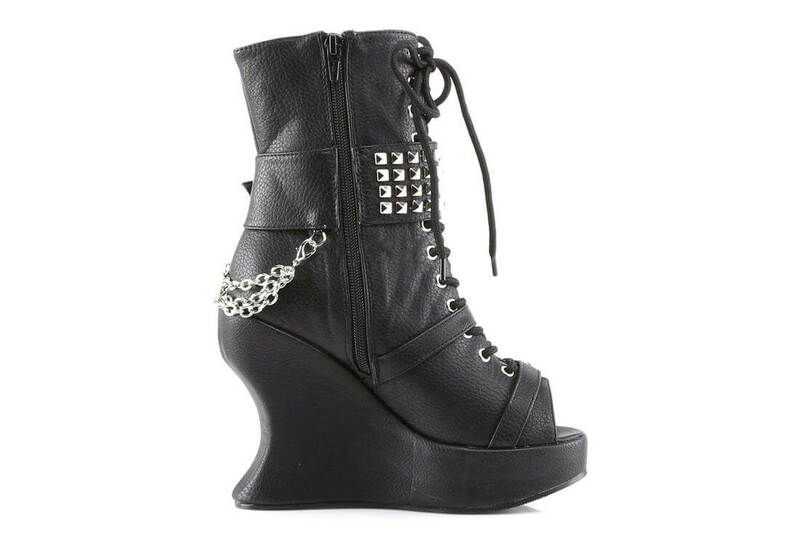 They lace up and a full side zipper. 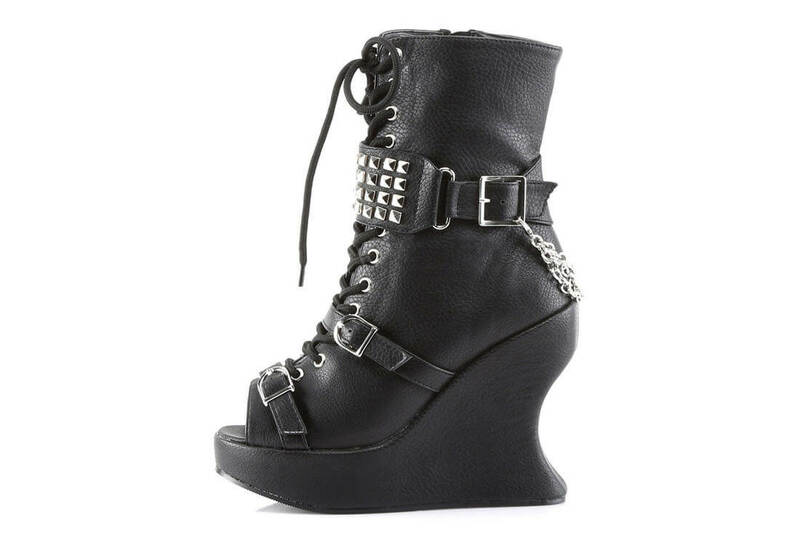 The wedge platform measures 5 inches tall.